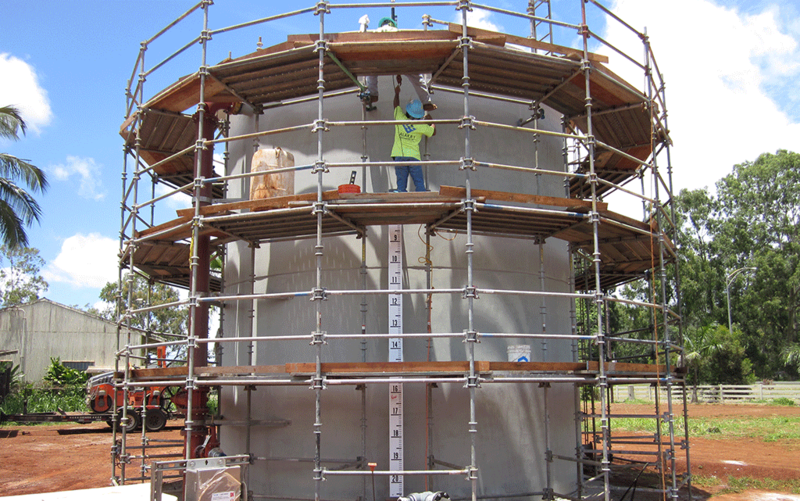 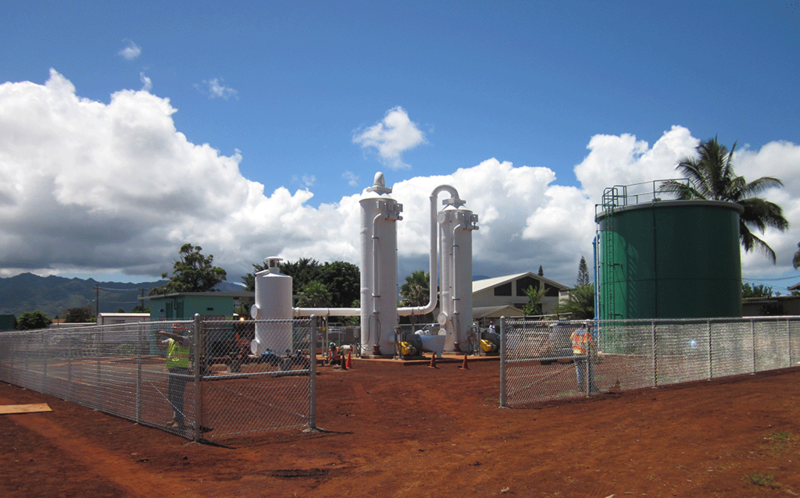 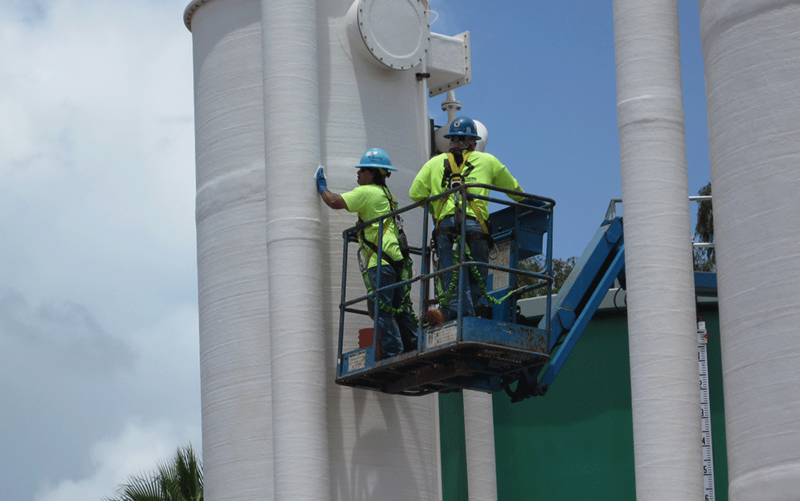 Air Stripping System | Community Planning and Engineering Inc.
CP&E, as a subcontractor to GSI Pacific Inc., was contracted to design all aspects of the Air Stripping System to remove 99% of the Trichloroethylene (TCE) in the drinking water well. 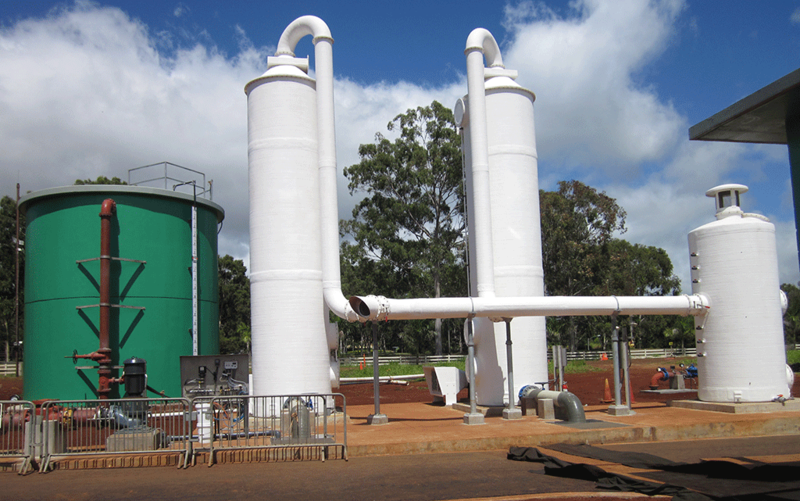 Design was for treatment of an average of 1 million gallons per day. 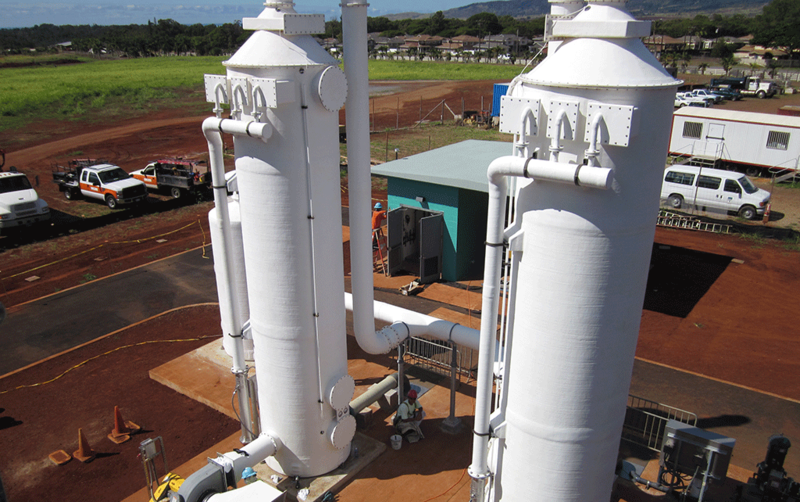 In general, water treatment components consisted of two air stripping towers, well pump, granular activated carbon (GAC) vessel for air scrubbing, 50,000-gallon water storage tank, 5,000-gallon intermediate raw water tank and pumps, control building, and miscellaneous site improvements. 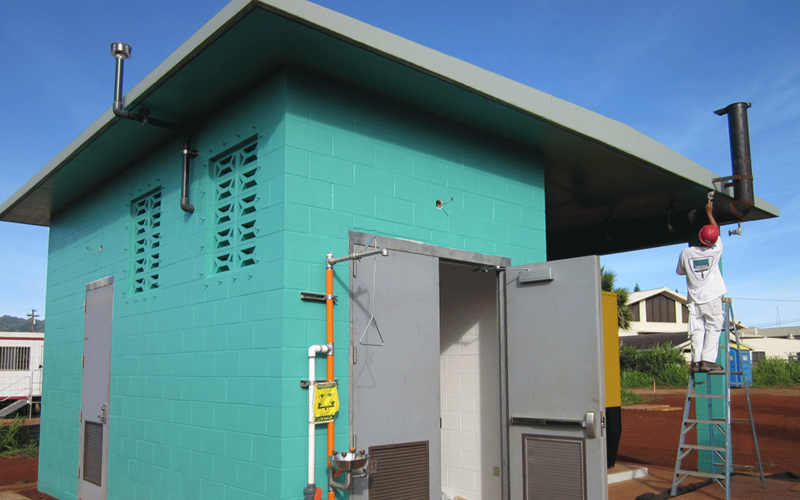 © 2012 Community Planning and Engineering Inc.